How Can I Discern Between Truth and Error? Beloved, do not believe every spirit, but test the spirits to see whether they are from God, for many false prophets have gone out into the world (v. 1). Probably all of us know the story of Little Red Riding Hood. Little Red Riding Hood is deceived by a wolf who disguises itself as the girl’s grandmother. Christians must not be spiritually gullible. John writes, “Beloved, do not believe every spirit, but test the spirits to see whether they are from God” (v. 1). Little Red Riding hood was deceived by the wolf because she was gullible. False teachers will not announce to us that their teaching is false, so we shouldn’t believe every teaching we hear. (Many false teachers sincerely believe their teaching is true.) How can we discern between truth and error? To discern is to judge. (To discern between truth and error is to make a judgment.) But didn’t Jesus say, “Judge not”? Not exactly. Jesus also said, “Judge with right judgment” (John 7:24). The words “Judge not” are found in Matthew 7:1, but to understand what Jesus really meant, we need to read Matthew 7:1-5. “Jesus was explicitly rebuking the hypocrisy of the Pharisees, who were quick to see the sins of others but were blind and unwilling to hold themselves accountable to the same standard they were imposing on everyone else” (Eric J. Bargerhuff, The Most Misused Verses in the Bible, 26). Matthew 7:1 does not prohibit Christians from exposing false teaching. Paul says that one of the qualifications for an elder is that he must “be able to give instruction in sound doctrine and also rebuke those who contradict it” (Titus 1:9). This doesn’t mean that Christians shouldn’t be allowed to have different views on non-essential doctrines (e.g., the millennial kingdom). John says, “Test the spirits,” because he believes that there is a spiritual force behind every teaching: either the Holy Spirit or demonic spirits. Paul writes, “The Spirit expressly says that in later times some will depart from the faith by devoting themselves to deceitful spirits and teachings of demons” (1 Tim. 4:1). We are to “test everything” (1 Thess. 5:21). When trying to discern between “the Spirit of truth” and “the spirit of error,” we should ask two questions. 1. What does this person say about Jesus? John writes, “By this you know the Spirit of God: every spirit that confesses that Jesus Christ has come in the flesh is from God, and every spirit that does not confess Jesus is not from God” (vv. 2-3). There are three essential beliefs about Jesus: (1) the man Jesus of Nazareth is God the Son; (2) Jesus is fully God and fully man; and (3) Jesus is the only source of eternal life. We must reject teaching that denies any of these truths because it will lead people astray. To detect error, we must know the truth! 2. What does the world say about this person? “The world” in this context refers to people who reject the gospel. Beware a “Christian” teacher who is celebrated by the world. John writes, “They are from the world; therefore they speak from the world, and the world listens to them” (v. 5). In some versions of Little Red Riding Hood, Little Red Riding Hood gets eaten by the wolf. Sometimes being deceived has very serious consequences. If Christians are deceived by false teaching about Jesus, the consequences will be more serious than getting eaten by a wolf. Why Is It So Important to Love Others? By this we know love, that he laid down his life for us, and we ought to lay down our lives for the brothers (v. 16). Have you ever caught yourself saying something that your dad always used to say when you were a kid? A couple of my dad’s favorite sayings were (and still are) “The squeaky wheel gets the grease” and “Walk in there like you own the place.” He often used those sayings when I was a teenager searching for a part-time job. The apostle John thought of himself as a father to his readers. Several times he calls them his “little children” (e.g., v. 18). One of his favorite sayings was “Love one another.” In verse 11, he writes, “For this is the message you have heard from the beginning, that we should love one another” (v. 11). It might be annoying to here the same sayings over and over again, but usually there is some wisdom behind a dad saying. For example, dads say “Where you brought up in a barn?” because it’s wise to close the door when you’re entering or exiting your house. My kids often neglect to close our back door, and this is probably the reason why we’ve had some mice in our house. In this passage, we find two reasons why it’s important that we love others. 1. Love is necessary if we are to please our Father. Today (Father’s Day) is a day when people want to please their father. (Why are dads so difficult to shop for?) Of course, not every father is a good father, and many people aren’t interested in pleasing their father. But God is a perfect Father. In 3:1, John writes, “See what kind of love the Father has given to us, that we should be called children of God.” Every child of God wants to please their heavenly Father. And what pleases God most is love: our love for him and our love for others. When we know there is discord between us and another person, reconciliation should be our top priority. Jesus went on to say, “So if you are offering your gift at the altar and there remember that your brother has something against you, leave your gift there before the altar and go. First be reconciled to your brother, and then come and offer your gift” (Matt. 5:23-24). In our relationships, we should be like Jesus. “He laid down his life for us, and we ought to lay down our lives for the brothers” (v. 16). The actions of Jesus define true love (“By this we know love,” v. 16). Jesus declared, “I am the good shepherd. The good shepherd lays down his life for the sheep” (John 10:11; cf. vv. 15, 17, 18). He also said, “This is my commandment, that you love one another as I have loved you. Greater love has no one than this, that someone lay down his life for his friends” (John 15:12-13; cf. 13:34). True love is not a do-nothing love; it’s a self-giving love. John writes, “But if anyone has the world’s goods and sees his brother in need, yet closes his heart against him, how does God’s love abide in him? Let us not love in word or talk but in deed and in truth” (vv. 17-18; cf. James 2:15-16). Fathers, we’re very good at laying down ourselves on the couch, but how good are we at laying down our lives for our family? To husbands, the apostle Paul wrote, “Love your wives, as Christ loved the church and gave himself up for her” (Eph. 5:25). One way we can love others is by giving them our time. 2. Love gives us confidence that we are children of God. There’s a logical fallacy known as the “No true Scotsman” fallacy. For example, person A says, “No Scotsman would cheer for England in the World Cup.” Person B replies, “I’m Scottish, and I’m cheering for England.” Person A says, “Well, no true Scotsman would cheer for England.” Some people would argue that John is guilty of the no true Scotsman fallacy when he says that no true Christian would continually hate others. But what John says is no different than what Jesus said, “By this all people will know that you are my disciples [true Christians], if you have love for one another” (John 13:35). “By this [i.e., loving others] we shall know that we are of the truth and reassure our heart before him” (v. 19). But how much love is enough to “reassure” our hearts? Sometimes “our heart condemns us” (v. 20). But John says, “God is greater than our heart, and he knows everything” (v. 20). God knows all of our failures but will always forgive repentant sinners. John adds, “Beloved, if our heart does not condemn us, we have confidence before God” (v. 21). What if I Don't Feel Like God's Child? See what kind of love the Father has given to us, that we should be called children of God (3:2). Many Christians struggle with insecurity. They think, “If I don’t feel like a child of God, maybe I’m not. Maybe I never was.” What if I don’t feel like God’s child? Why do we sometimes doubt that we are God’s children? We struggle to obey God, and we think we might not be good enough. Nobody is good enough to be a child of God. But we can be God’s children because of what Christ did for us, not what we do for God. “To all who did receive [Christ], who believed in his name, he gave the right to become children of God, who were born, not of blood nor of the will of the flesh nor of the will of man, but of God” (John 1:12-13; cf. 3:3). 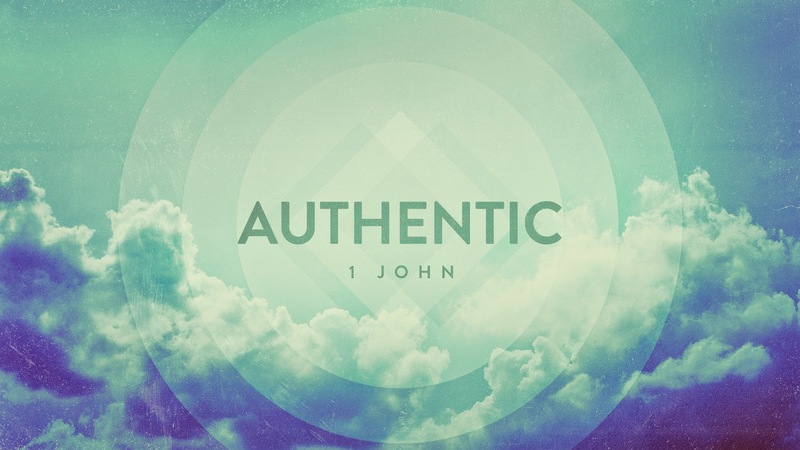 In 2:28-3:10, John gives us three truths about God’s imperfect children. 1. God’s children aren’t perfect, but we are loved by God. We should be amazed by the love of God for us: “See what kind of love the Father has given to us, that we should be called children of God” (3:1). God’s kind of love is a sacrificial love. He demonstrated his love for us by sending his Son to die for us (4:9-10). God’s kind of love is also an unending love. God will never un-adopt his children. Nothing can separate us from the love of God (Rom. 8:35-39). 2. God’s children aren’t perfect, but we have the desire to be perfect. John writes, “No one born of God makes a practice of sinning” (3:8). He’s not saying that God’s children never sin (see 1:9; 2:1). A common interpretation is that John is referring to habitual sin. Another possibility is that John is confronting people who claim that God’s children are free to sin. God’s children don’t desire to rebel against our Father. 3. God’s children aren’t perfect, but we will be made perfect by God. John refers to two appearings of Jesus: a first appearing (3:5, 8) and a second appearing (2:28; 3:2). “When [Christ] appears we shall be like him” (3:2). We will be “like” Jesus, not identical to him. Like Jesus, we will be morally perfect. This is the consummation of our salvation. We are “predestined to be conformed to the image of [God’s] Son” (Rom. 8:29). For the child of God, the coming of Christ is something to desire, not dread: “we may have confidence and not shrink from him in shame at his coming” (2:28; cf. 1 Thess. 4:8; 2 Tim. 4:8; 1 Peter 4:13). Sometimes I don’t feel like a child of God. I feel like an imposter. I struggle to obey God. But the good news is that being a child of God is not based on my performance. It’s based on God’s grace. Christ died for all of my sins. I am trusting in what he has done for me, not in what I am doing for God. “See what kind of love the Father has given to us, that we should be called children of God”! Am I Believing the Truth About Jesus? Who is a liar but he who denies that Jesus is the Christ? This is the antichrist, he who denies the Father and the Son (v. 22). Have you tried this spring to rid your lawn of dandelions? My dad is not someone who is willing to accept weeds on his lawn. One spring, he decided to spray his lawn with weed killer. A few days later, he noticed brown spots all over his lawn. He told me about this, and I immediately knew what had happened. What my dad believed was weed killer was actually grass killer. Having an incorrect belief about a bottle of grass killer was harmful to my dad’s lawn. What about what we believe about Jesus? How important is believing the truth about Jesus? Nothing is more important. We can’t have eternal life if we don’t believe the truth about Jesus. There was a group of people who left John’s church over a disagreement on the doctrine of Christ. John writes that these people “denie[d] that Jesus is the Christ” (v. 22). Since they didn’t believe the truth about Jesus, they were not authentic Christians. “They went out from us, but they were not of us; for if they had been of us, they would have continued with us. But they went out, that it might become plain that they all are not of us” (v. 19). Their denial of the truth about Jesus meant that they lacked a relationship with God. They “denie[d] the Father and the Son” (v. 22). If you deny (i.e., reject) Jesus, you also deny the Father. “No one who denies the Son has the Father. Whoever confesses the Son has the Father also” (v. 23). John is repeating what he heard from Jesus: “Whoever does not honor the Son does not honor the Father who sent him” (John 5:23). John calls the people who were denying the truth about Jesus “antichrists” (v. 18; cf. v. 22). The prefix “anti” can mean “against” (e.g., anti-aircraft) or “false.” They were antichrists because they were against Christ and teaching a false Christ. John also states that the presence of antichrists in the world is a sign that it is “the last hour” (v. 18). How could it be the last hour? History has changed its direction. Since the death and resurrection of Jesus, history is no longer traveling toward the end; it’s traveling along the end. At any moment, Christ could return (cf. 2 Peter 3:3-10). Until Christ returns, we should expect false teaching about Christ. The false teaching that John confronts in verse 22 might have been a denial of the incarnation (i.e., God becoming flesh)—a denial that “Jesus is the Christ” (cf. 4:2-3; 2 John 1:7). They might have believed that the divine Christ came upon the man Jesus at the time of his baptism and left him before his crucifixion. What is the truth about Jesus? The following are four essential truths about Jesus: (1) he is God the Son; (2) he is God incarnate; (3) he died for our sins; and (4) he rose from the dead. If we don’t believe these truths, we are believing in “another Jesus” (2 Cor. 11:4). In this passage, we find two cautions concerning false teaching about Jesus. 1. We must not sacrifice the truth about Jesus for the sake of unity. Both the truth and unity are vital to the life of a church. But if we don’t agree on the essential truths about Jesus, there isn’t real unity. 2. We must be very careful when someone tell us something new about Jesus. The word “abide” is found several times in verses 24 and 27. John says that two things abide in Christians: “what you heard from the beginning” (i.e., the truth about Jesus) and “the anointing” (i.e., the Holy Spirit). Those who spread false teaching (“who are trying to deceive you,” v. 26) want people to go beyond what we have heard and believed to something new. But we must “abide” (stay, remain) in the truth. To go beyond the truth is to go into error.